Canonical has released updates for the server and desktop editions of Ubuntu Linux, offering expanded cloud computing capabilities for developers and users. The new Ubuntu Server 12.10, available for download today, includes the "Folsom" release of OpenStack that Canonical said gives Ubuntu developers more flexibility for deploying cloud services. The release also incorporates new deployment and management tools for deploying distributed applications. Ubuntu Server 12.10 is the fifth Ubuntu release to support OpenStack, the open-source Infrastructure-as-a-Service (IaaS) cloud-computing project started by RackSpace and NASA in 2010 and supported by Canonical and number of leading IT vendors. The new server software "is really at the center of what's happening with OpenStack," said Mark Baker, Canonical server product manager, in an interview. Two major OpenStack components included in Ubuntu Server 12.10 are the "Quantum" virtual networking API and "Cinder" block storage technology. JuJu, Obuntu's service orchestration software, is now natively supported on OpenStack cloud systems running on Ubuntu Linux. Canonical also said the Ubuntu Server 12.10 is the first operating system to support Intel (NSDQ:INTC)'s Open Attestation software that authenticates cloud images to ensure that no virtual machines are a security risk. And the Ubuntu Metal-as-a-Service bare-metal provisioning tool has been updated in Ubuntu Server 12.10. Ubuntu Server 12.10 is an interim release that Canonical supports for 18 months: Ubuntu 12.04 LTS is the most recent long-term support release. On the client side Ubuntu 12.10, also available for download today, offers improved integration between applications and content running on a desktop PC and on the Internet. Using Ubuntu 12.10 Dash, for example, users can simultaneously see files on their hard drive and on Google (NSDQ:GOOG) Drive, Google's cloud file storage service. 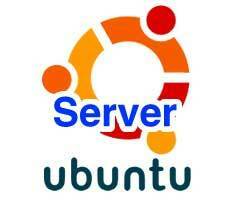 Canonical is pitching the Ubuntu Linux for desktops as alternative to the upcoming Microsoft (NSDQ:MSFT) Windows 8.